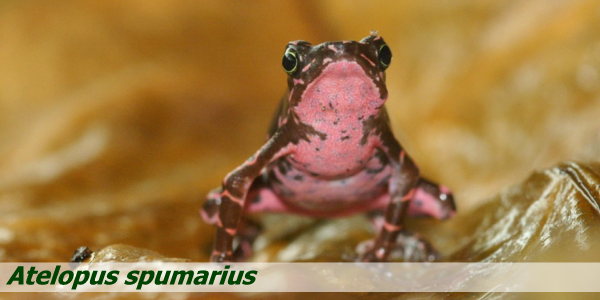 The Atelopus species live in the American tropics. During the last 20 years the populations have declined over most of their distribution range. In the last 10 years several well studied populations that have gone extinct from nature, for example the golden frog (Atelopus zeteki) that we chose to use in our logo. There is a combination of reasons for the disappearing of these frogs but the main reasons are the loss of habitat, disease, pesticides and climate change. 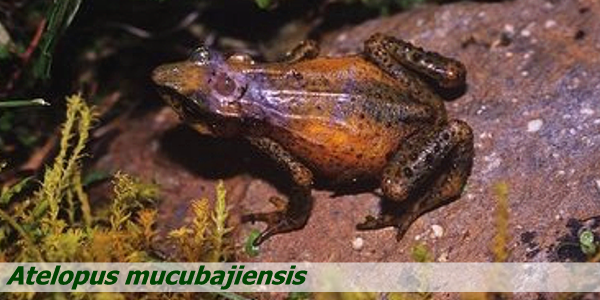 It has been told that of the 113 harlequin frog species of Central and South America, at least 30 have vanished in the last 20 years. Also 81 percent of the adequately studied species are in decline because of the above mentioned reasons. 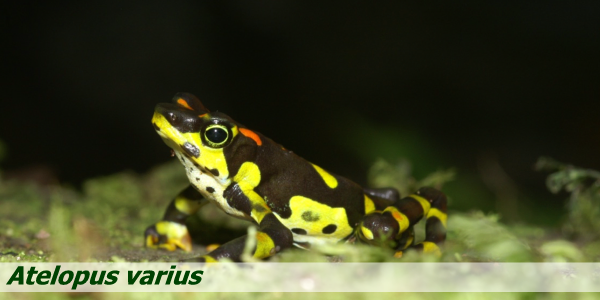 Besides all this bad news it should also be told that there are probably many more species of Atelopus that haven’t been discovered and/or described until this day.We want to try and expose a little bit more about these wonderful forest-dwelling neotropical toads, called harlequin frogs, to the world. By spreading more information about them we might hopefully be part in helping the world to be aware of this genus of species that is disappearing. Letting people know more about these animals might be a step in getting help for them to survive in the wild.We hope you’ll enjoy the photos and information on this website. 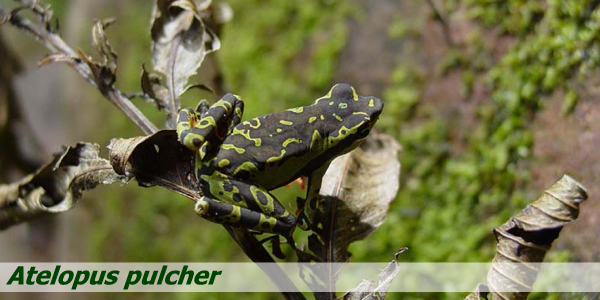 Josh lives in Tarapoto Peru and have seen Atelopus pulcher regularly in the Cordillera Escalera. In the past month, they have seen 6 animals and he saw a 7th animal late last year. The population seems to be slowly coming back. We all hope he is right. Population status: Stable but might be the next victim for the chytrid infection. 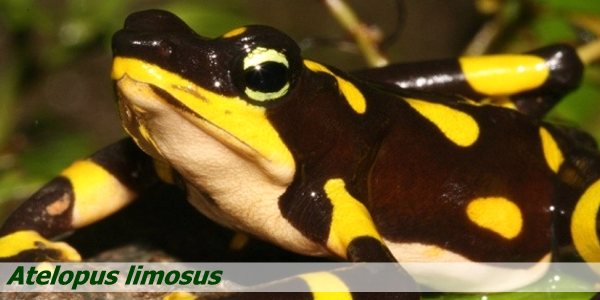 More information about Atelopus Certus is available here. Monitored by: Manuel Guerreiro (Venezuela). Population status: Critically Endangered although stable in numbers. Monitored by: W. Cattersel (Belgium). This is a list that we try to keep updated with help from reports that has been sent to us. There is no guarantee that these animals has not been observed just because we havn't added something in the list. A missing observation means that we havn't had it reported, or that the observation has been too weak or doubtful for being added. Click here to see the list.